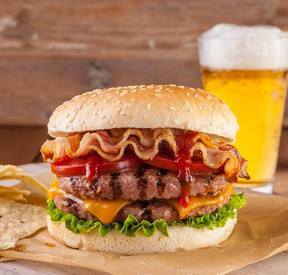 This double-decker cheeseburger is a guilty pleasure that you can now make in your very own kitchen. It’s fun to make and even more fun to eat. The more Bacon the merrier!